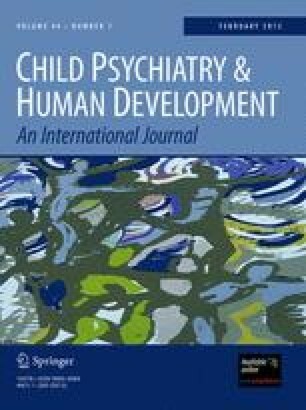 The psychometric properties of the Obsessive Compulsive Inventory–Child Version (OCI-CV) were examined in ninety-six youth with a primary/co-primary diagnosis of obsessive–compulsive disorder (OCD). A confirmatory factor analysis revealed an acceptable model of fit with factors consisting of doubting/checking, obsessing, hoarding, washing, ordering, and neutralizing. The internal consistency of the OCI-CV total score was good, while internal consistency for subscale scores ranged from poor to good. The OCI-CV was modestly correlated with obsessive–compulsive symptom severity on the Children’s Yale-Brown Obsessive Compulsive Scale (CY-BOCS) Severity Scale, as well as with clinician-reported OCD severity. All OCI-CV subscales significantly correlated with the corresponding CY-BOCS Symptom Checklist dimension. The OCI-CV significantly correlated with child-reported depressive symptoms and OCD-related functional impairment, but was not significantly correlated with parent-reported irritability or clinician-reported overall functioning. Taken together, these data suggest the psychometric properties of the OCI-CV are adequate for assessing obsessive–compulsive symptom presence among youth with OCD. The contributions of Jessica Morgan to data collection are noted.